A few months back the family and I went to Kingston, NC to catch a ball game. When we got there we were introduced to a brewery called “Mother Earth”. We enjoyed a couple of their beers at the game and I finally saw some in my local store this week. 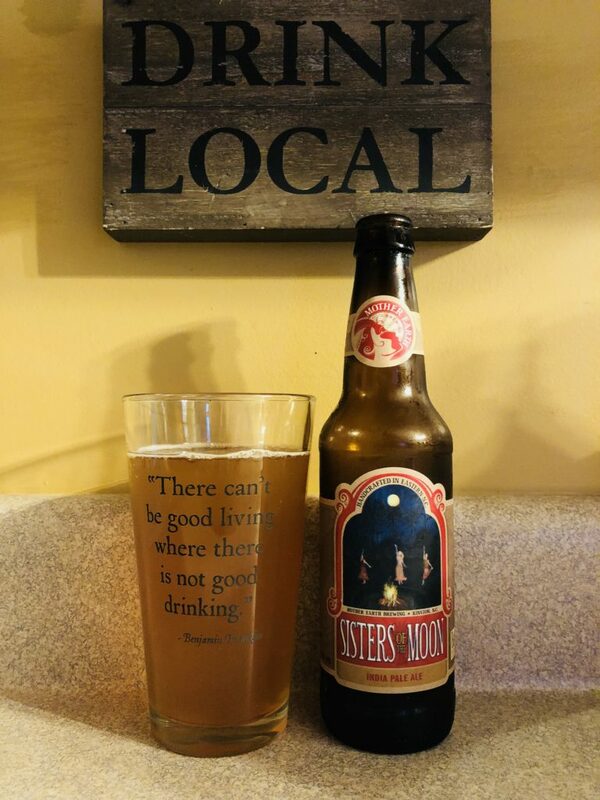 Here is their “sisters of the moon” IPA. The color is a cloudy copper, the smell is pure hops! The taste is smooth with a slight orange after taste, kinda fruity but subtle. This is a very good IPA that packs a 6.9% alc content. We give this beer a solid 4 stars and look forward to reviewing more of this breweries selections. Enjoy!